Any runners will probably have experienced the following; earphones refusing to stay in your ears, having to swiftly turn your head to cross the road resulting in them being painfully ripped out of your ear, struggling with tangled wires, trying to decided whether to tuck them into your top and be uncomfortable or leave them flying around on front of you and be irritated by them etc. etc. Surprisingly I never really thought there was an alternative and had resulted to a life of being irritated by them flying around in front of me. 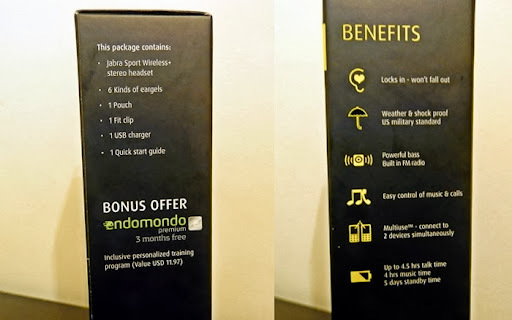 That is until Jabra contacted me and asked whether I would be interested in trying their Sport Wireless Plus Headphones as part of their #SetSoudFree campaign; obviously I jumped at the chance. I waited in anticipation for them, as they took a little while to be shipped over from the US, however they were definitely worth the wait. 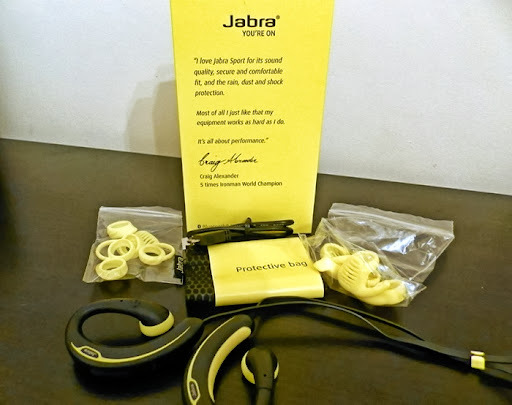 Firstly I’m a sucker for great packaging, and the Jabra Sport Wireless Plus Headphones* packaging is sleek and very much reminds me of Apple packaging; its all part of the product. It also remind me of Apple as they let the product do the talking. There is not much sale spiel, just a simple get started guide. After reading the simple guide I was ready to try the headphones out within a few minutes… which is pretty good for me as I am not very savvy with technology! The headphones work via bluetooth, so you simply turn on your bluetooth on your phone and connect it to the headphones. The headphones are now ready to play music, take calls, or as mine do, tell me how slow I’m running and how much further I have to run! 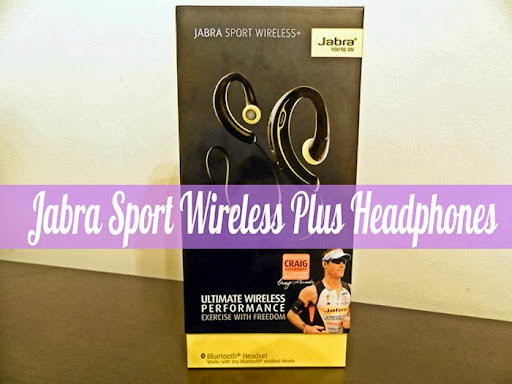 The Jabra Sport Wireless Plus Headphones did come with a wide variety of ear-gels so you can choose the one which is most comfortable for you, from ones that fit right in your ear, or ones that don’t… they came in all shapes and sizes! So after connecting the headphones up to my phone, choosing the correct ear-gel for me, and tightening the fit clip around the back of my head I took off on my run. At first the headphones didn’t feel very secure, and one slipped off my ear, however I realised that you can sort of mold the headphone around your ear making it tighter and definitely secure. I ran for 30 minutes and after securing the headphones I didn’t have to touch or rearrange them once. I’ve worn them in the rain and they work perfectly, which they should as they are sold as being weather and shock proof. Thy headphones are endorsed by Craig Alexander; a 5 times Ironman world champion and they are sold as being US military shock proof, and after wearing them everyday for the week I am pretty certain that they are tough and longwearing. Overall I am very impressed. They are very comfortable, very secure, can withstand the heavy Lancashire rain, and the sound quality is great! I’ve been enjoying my runs a lot more, as I no longer have to battle with annoying wires. I am definitely a convert, and much like I couldn’t imagine a run without my Polar HRM Monitor Watch, I now could not imagine a run without my Jabra Sport Wireless Plus Headphones… so long crappy apple headphones! Do you have the same headphone problems as I did when running? Have you every tried the Jabra Sport Wireless Plus Headphones, or any other wireless headphones? Be sure to check out Natalie’s wonderful blog; The Blonde Ethos – full of beauty, fitness and fashion. If you enjoy my blog you will LOVE hers! Thanks for posting up this review, my hubbys an avid runner and these might make an ideal Christmas present as he's forever moaning about his current ones falling out every stride. Wow nice wireless earphones having all new features in it and within budget.